With more than eight thousand years of cultural and civilization evolution, India has great legacy of culture and heritage. 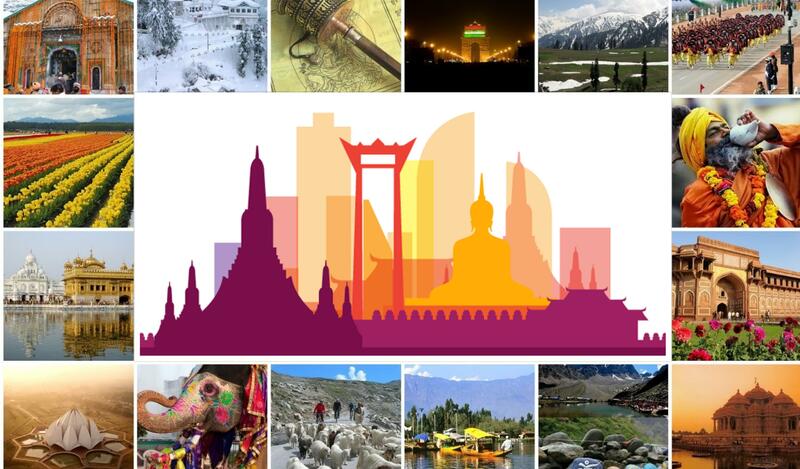 Mindboggling diversity with ethereal sense of unity makes India altogether a different land to be explored. 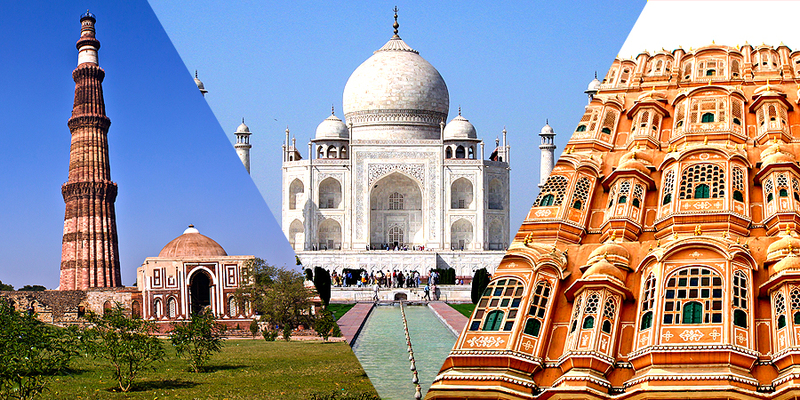 From a first time visitor’s perspective, India will always be an incredible tourist destination. 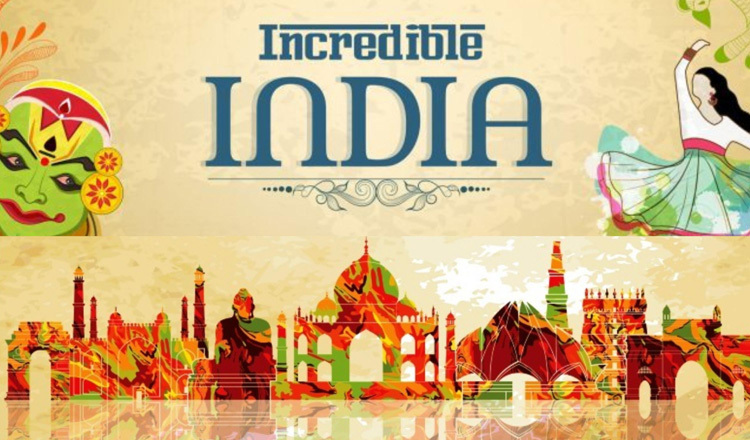 Incredible India is symbolic of incredible cultural wealth. This phrase will accompany you throughout your stay. Northern part of India will charm you with the joyous tumult of cities to meditative serenity of the Himalayas, the insolent wealth of Rajasthan lords in the dusty poverty of the peasants, beauty sensitive buildings from the past to the ugliness of the new cities. India cannot be explained in a few lines. Visiting India is to risk to return, and to encounter the unfathomable mysteries of its ancestral culture, its myths, its history of violence footprint (Mughal conquests, British colonization, Independence uprising on confessional background ...). The table might seem dark at first, but it would overshadow the incredible breath of life that runs through the mountains, plains and rivers to reach their inhabitants. Explore the roughness of the landscape, often in difficult conditions, feel emerging grace and live fragility of happiness. India has repeatedly broken the rules of our materialistic societies and reminds us of our own contradictions. See the congenial coexistence of the contrasts, the constant duality-tradition and modernity, fatalism and spirituality, beauty and ugliness, softness and hardness. The mystery of India, its splendor and its capacity for surviving the ravages of Time has aroused the curiosity of many travelers. Contemplating the panorama of India's history and culture, poet Iqbal says: "The great civilizations of Greece, Rome and Egypt have from this earth. However, the unique identity of Indian civilization has survived. There must be something which preserves India's identity despite the ravages of Time". 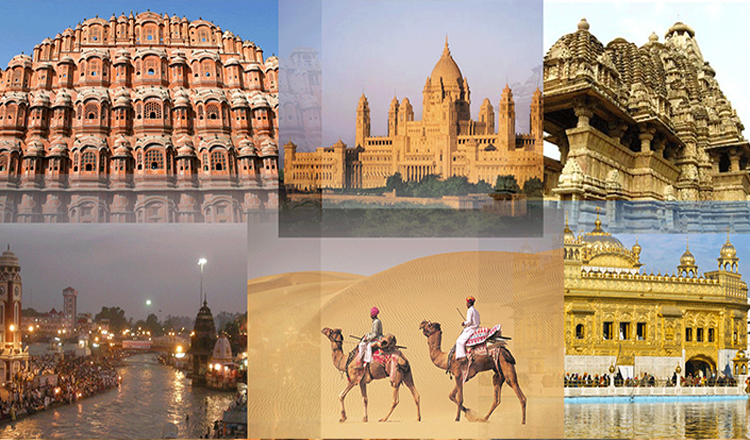 Explore Time-defying spirit of India on First Time India Tour Packages. Indians of the yore labored and created a fabric of civilization weaving together its various threads. The monuments alone they built and carved and chiseled, keep a visitor enthralled and spellbound. 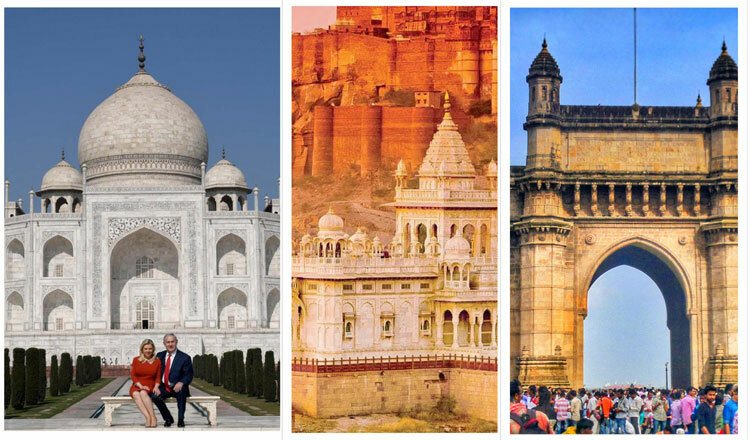 The temple at Martand, the Red Fort (Delhi), the forts of Amber and Mehrangarh, the city at Fatehpur Sikri, the caves and frescoes at Ajanta, the temples in Konark, Khajuraho and Madurai, the Taj at Agra, the ruins of Hampi- all show the creativity of Indians. 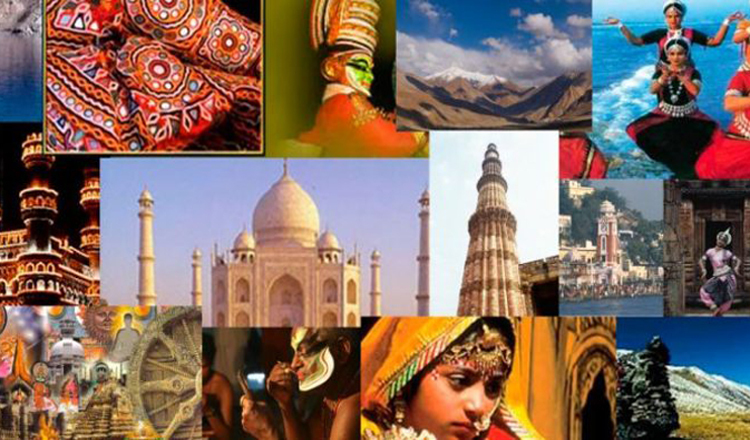 Along with the feel of essence of India and Indian culture, experience the captivating unique charm of India which is so laden with the gifts of nature. Its songs, dances, music, folk rhythms and innumerable variety of cuisines will make an indelible impact on your psyche. And, even if you do not feel completely quenched, visit Varanasi, Dharmashala (Himachal Pradesh) and Leh - Laddakh. 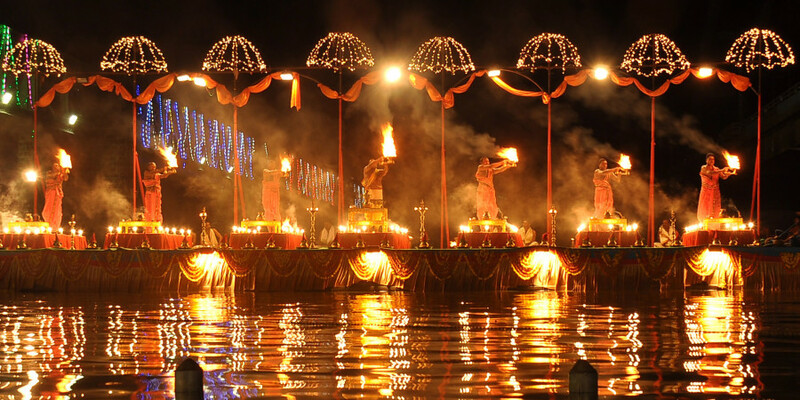 Get submersed into subtle spirituality of India during your first time travel in India.